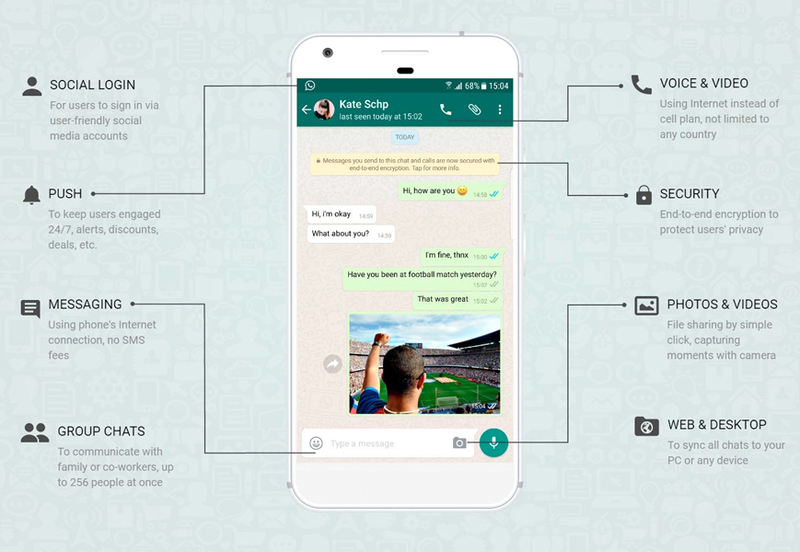 How To Create An Instant Messaging App Like WhatsApp? App Builder Appy Pie January 24, 2018: In this post, we will discuss the must-have features and functionality of an instant messaging app like WhatsApp. The highlight of the blog is a step by step tutorial video on making an instant messaging app with Appy Pie’s app builder! 1.1. What Is Instant Messaging? 7. Now Comes The Fun Part! Build Your Own Instant Messaging App with Appy Pie! If you are like the other 97% of the population, then at least once in your life you have used your phone to send out a text or a chat message. An average user sends out at least 14 text messages in a single day, either through an instant messaging app or through an SMS. This essentially means that messaging is probably at the top of the list of highly used features on smartphones. Voice/video calling come a close second though. Instant messaging or IM is a kind of online chat that offers real time text transmission over the internet. Some IM applications also use Push technology in order to provide real-time text which transmits text character by character, as they are being composed. The instant messaging apps with advanced features can even help the users send files, clickable hyperlinks, VoIP, Video chats, streaming and more such services. So let’s talk about how to create an app like WhatsApp with Appy Pie’s app builder. The messaging market has its share of dominant players with WhatsApp leading the bandwagon (800 million daily active users), followed by Facebook Messenger (700 million daily active users) and WeChat (549 million daily active users. However, that does not mean that there is no further space and scope for some more creative solutions and Appy Pie is here to help! If you are planning to make a chat app, why not model it on someone who seems to have gotten it right. Let’s begin by understanding what kind of tech stack goes into building a real time chat app like WhatsApp with Appy Pie’s Chat Room & Messenger app builder? This is the chief programming language that was used to develop WhatsApp. This language has gained the most recognition and appreciation because of its stellar performance, speed, and scalability – a combination that works best for a real time chat app! Yet Another Web Server or YAWS is developed for multimedia file storage and is written entirely in Erlang. This one is a high-performance web server that has been developed especially for high load apps with dynamic content. YAWS is unique in its ability to handle parallel processes efficiently and has a high-performance standard. This is the operating system being used by WhatsApp and has helped it send billions of messages every single day on its platform. The FreeBSD operating system has a delicate network stack and extensive reliability. This is a robust, stable, open source Unix like system and the real time chat app developers have had a great experience working with it. As FreeBSD is a single distributor, it has some distinct advantages with installation and provides easy creation of binary packages. Lighttpd is an open source web server that is optimized for a higher performance. This lightweight web-server is deployed even on WhatsApp with the intent to add a safe, versatile, quick, and compliant feature. Originally this is what WhatsApp used to transfer all the users’ messages. This technology has a big advantage as it supports both one-to-one and multi-user chat conversations. Eventually however, the company had to switch to a different internet protocol in order to optimize their server performance. A real-time database management written in Erlang, is great for storing the messages, files, images, videos, documents, and the rest of the multimedia files that run on any real time chat app. For WhatsApp the databases are powered up with a combination of Mnesia and MySQL databases. Moving on from the techstacks, let us take a deep look at the more obvious and visual features that would help you make a cool new chat app. When you are planning to build an app like WhatsApp, it is important you study the features of the app, before deciding which apps you would like your app to have! Most of the real time chat apps or instant messaging apps need the users to sign-in with a phone number, while some may do so with a social media login. 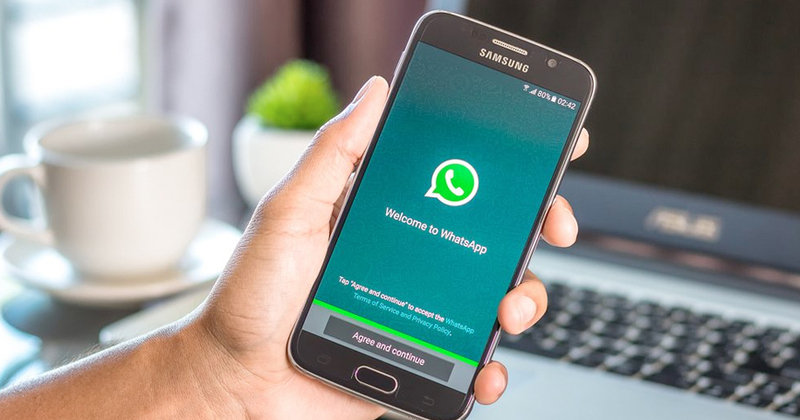 WhatsApp goes a step further and shoots an SMS for confirmation, adding a layer of security for the users, which is accomplished by use of a third party API like Twilio or Nexmo etc. The user is then supposed to add their contacts from the address book. Chatting can only be fun when you have all your friends around to talk to! You may even consider integrating other options like gamil, or Facebook (if you have deep pockets). Now, this step needs to be really quick and convenient. It might be a good idea at this level to consider the Profile UX/UI. You can consider the kind of customization options you may offer, or decide whether you would want your users to be able to connect with other social profiles, or would you be offering the users any custom design features. The user experience offered by Appy Pie’s chat room & messenger app builder is exemplary and would make your users enjoy the registration process. Since it is a chat app, so the messaging feature is a given. However, it is not a yes or no option, there are a number of tiny little details that need to be ironed out if you are considering building a chat app. Let’s take a look at the checklist by Appy Pie to help you make that decision. In what way would the users initiate the chat? Would you only be offering one-on-one chat options or would there be the feature of group chats as well? Apart from these two options, WhatsApp even allows the “Broadcast List” feature which allows users to send the same message to a specified list of people. Would you be offering private chat options only or public chatrooms as well? Would you like to add the super-secret security feature where the message will self-destruct after a specified time once they are read? Would you like to offer some embellishments like font types, font options, stickers, mute functions, sharing multimedia and docs etc? Though these features might not be a good idea for an MVP, but do include them in your future versions of the app. Would you be offering the feature of scheduling messages ahead of time? People today are highly concerned about the privacy of data and studies indicate that about 96% of the people are scared of online hacking and putting their private data in jeopardy. Hence, when you are setting out to develop a private messenger app, it is important that you pay due attention to the users’ security. Following are the major concerns that should figure in your plans. You may look at developing and implementing an additional anonymous self-destructing feature. You may consider investing heavily on premium encryption technologies and protect all the messages from hijacking. You may take a look at ChatSecure & CryptoCat, two great open source, encrypted chat applications. Their code is even available on Github for all the developers to take a look at and understand how their encryption works. The instant messaging feature on Appy Pie’s chat room & messenger app builder is vigilant about the safety it offers to the app users. These might seem like a tiny offering but go a long way in retaining the users and in keeping them active within the app. The one cardinal rule is to let the user customize the kind of notifications that they’d like to receive. Firebase cloud messaging works for both the Android and iOS platforms. But the native Apple Push Notifications may work better for iOS platform. However, Firebase Cloud Messaging significantly cut down the cost of development and the time involved in developing it. Appy Pie’s chat room & messenger application lets you send out relevant push notifications and helps you engage and retain your users. Chat is definitely more fun when it extends beyond the text and emojis. Your users would look for features and ways in which they can share multimedia files like images, GIFs, videos, stickers, and more! A picture may be worth a thousand words, after all. If you have deep pockets though, you may even consider offering sync options with the leading cloud service like Google Drive, Evernote, and Dropbox. Your instant messaging app made with Appy Pie lets your users transfer their multimedia files flawlessly. This is a feature that comes in handy when your friends are moving around in circles trying to get to your house! Apple MapKit and Google Location SDK offer the native toolkit for integrated location sharing. In case you are planning to partner with local businesses to monetize your app, you may also consider iBeacon and Eddystone sensors within the app. This helps the users receive relevant messages once they step into the venue’s geo-fence. Quite like WhatsApp, the instant messaging app made with Appy Pie lets the users share their location with fellow users. Though WhatsApp may be leading the whole bandwagon, but that doesn’t mean that they are infallible and are loaded with all kinds of features there can be. You may look at the following features that are not yet offered by WhatsApp and make an informed decision! This is a little on the expensive side when it comes to implementation but is a highly valued feature among the users. Calling via real time chat apps like Skype or Viber is getting more and more popular and is gradually replacing the traditional cell phone calling. The distances have increased, and time is proving to be an elusive commodity.in this time and era video chats or video calling has moved beyond just being “cool” and have turned into a necessity in order to stay connected especially with those who live far away. With Appy Pie’s chat room & messenger app builder help your users make video calls within the app. This is a feature that is at the core of SnapChat and has been emulated by other leading channels including Instagram and Facebook. This might be a feature worth investing in. This feature is great to remind the users about any special events or celebrations coming up so that you can plan ahead. This feature is especially lucrative and serve well when you are trying to attract the “business” crowd to your app. There has to be a revenue model and these are some of the most effective ones for monetization of a real time chat app. When you offer the options to use the app across platforms, you are helping the user stay engaged with your app whether they are chained to a desk or are always on the go! This is a great feature that lets you send out secret chats to your friends and then self-destruct after a certain time period has passed since they saw it. When you allow the users to sync your app with prominent cloud services, it is possible to monitor, update, store, and scale the hosting environment in a more efficient manner. The cost and budgeting factors loom large on someone who is developing an app, and when you take a leap, it should be a calculated one. While it might be tough to say how much does it cost to make an app, it is however possible to list down the key decisions that have a strong bearing on the cost of development of the app. The platform you choose will decide the kind of money you are going to have to cough up. Choose wisely whether you want to build for Android, iOS or both! The range of features you decide to go ahead with is what will finally decide the kind of time and money you are going to have to invest. Quite naturally, the more features you have, the higher the cost is going to be. Though you must optimise on the number of features you would be offering in your MVP but keep enough features to keep the user engaged. Setting A Budget is one of the most important decisions that you would have to make in the entire process. It is this decision that will drive all other decisions and it is important to keep it realistic and not go overboard or keep it too tight. Choosing the agency that would help you achieve the task at hand while satisfying your timeline, delivering great quality, and staying within your budget. You might have a certain plan in your head when you are thinking about developing an app like WhatsApp, but there are times when you would be lost about where to begin and how to go about building the app and Appy Pie can help! When you are building an app, you of course want it to grow and develop in time. In order to make that happen, its architecture must be thoroughly elaborated in the initial stages of its development. A good entrepreneur will always look into this aspect. With time as your application starts growing, you would have to have the scope to process an enormous flow of data that will come your way. Hence, you will have to take into consideration every possible factor whether it is the server sustainability or your application code design or incorporate an opportunity to add new features in a flawless manner in the future. If the code is not designed properly, then the application may begin malfunctioning upon addition of new features. Hence, it would be wise to hire an experienced tech professional who would be able to foresee all the possible scenarios and avoid bugs and app crashes in the future, saving you future monetary losses. Appy Pie would take care of all your planning as you simply drag and drop to make your own app without any programming skills. Design is one of the most crucial things in determining the popularity of the app you make. This is essentially the face of your app, the face that greets all the prospective and existing customers. Even though you might have an awesome app with the best possible features and offerings, it will not garner much popularity if it doesn’t have a pleasing and attractive interface. It is important to take care of all the detailing, using a good colour palette, suitable fonts, well-designed icons etc. come together to make your app desirable. A stylish interface goes a long way in providing a fabulous on-boarding experience, increasing engagement and in retaining users. It is important to dig deep in your pockets therefore to design your application well. Appy Pie’s chat room & messenger app builder lets you customize your own design to help you make it look great! A sales manager who could be in touch with your client before, during, and after the development process. A team of software developers. The number may depend on the complexity of the project but typically, the team consists of 2 to 5 members for front-end development and 2 to 5 members for the back-end development. Additionally, you may be required to engage 2 to 3 members in post-release support if the project demands it. A team of 1 to 4 quality assurance engineers. A marketing manager may be required if there is need to promote the product. However, at this time, you also need to weigh in whether you really need to build this team on your own and hire everyone, or you should hire an agency with exemplary record and experienced team. The latter might save you a lot of time and money. The chat & messenger app builder from Appy Pie will help you make you app in a jiffy and that too for a great price! Apart from this, it is important that you set up benchmarks and KPIs which would help you analyse the functioning of the app so that you may be able to enhance the app in performance and experience and skyrocket your way to popularity and success. 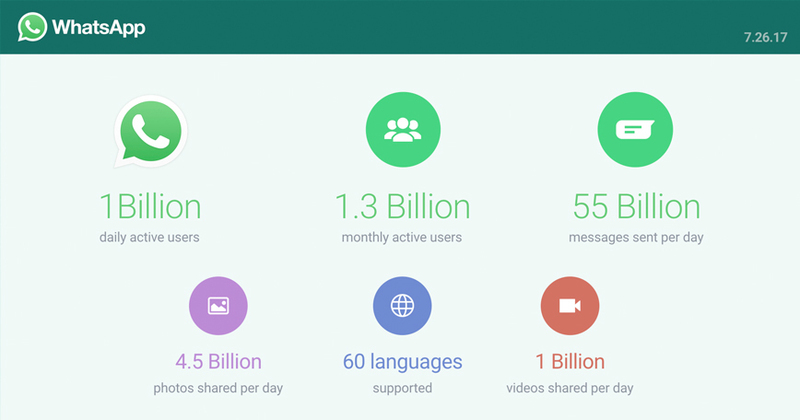 For an instant messaging or real time chat app, the three essential metrics that need to observed include – the number of active users on the app, user retention rate, and audience engagement. This might seem a little too overwhelming to you and it is natural for you feel a little lost. But, you don’t have to lose out because of it! Appy Pie’s app builder does all the ground work for you! Once you have decided to tread on the path to becoming the next WhatsApp or surpassing them, it is time you came to us. All you need to do is follow our step-by-step tutorial for building your Instant Messaging app and make your own app without any coding or programming skills! A family of multitasking, multiuser computer operating systems, Unix or UNIX derives from the original AT&T Unix. From a programmer’s perspective, Unix systems are typified by a modular design often termed as the “Unix Philosophy” which essentially means that the operating system consists of a set of simple tools, each assigned a defined function with a unified filesystem as the primary medium of communication supported by a shell scripting and command language that would combine the tools to perform complex workflows. Unix brought about a big change when it, unlike its predecessors, became the first portable operating system. Almost the entire operating system is written in C (programming language) which made it possible for Unix to reach multiple platforms. Since its inception a number of Unix-like operating systems have emerged, among them Linux is the most popular. Android, the most popular operating system in the world is based on Linux. Twilio is a developer platform for communications and offers the software developers the option to add features like voice, video, and text messaging to their applications providing the businesses an opportunity to offer the right communication experiences for their customers. Twilio allows businesses to reach their customers in ways that they choose themselves and engages them effectively using context related to their interaction. Twilio allows the developers to programmatically make & receive phone calls and send & receive text messages through web service APIs. A cloud communication platform, Nexmo develops APIs for SMS, voice, and phone verifications on Android, iOS and web applications. With Nexmo SMS & Voice APIs in-built in your web and mobile applications, you can easily send and receive messages and phone calls from anywhere in the world and stay connected to your app users on the fly. Not just this, you can even build innovative and delightful customer experiences with Nexmo’s programmable communication building blocks. Backed by Google, Firebase Cloud Messaging is a cross-platform messaging solution that allows users to deliver and receive messages and notifications on Android, iOS, and web applications, for no cost. Formerly known as Google Cloud Messaging, Firebase Cloud Messaging provides a reliable connection between your server and devices, making it easy to send messages across different mobile and web platforms. From advanced message targeting to Firebase analytics, FCM has various functionalities, including customized notification content, A/B test notifications, etc., which helps app owners keep clients updated anytime, and anywhere. Google Drive is a cloud storage service from google which allows users to store files on their servers, synchronize & share files across different devices. It comprises of Google Docs, Sheets & Slides, and an office suite that makes collaborative editing of all kinds of files possible. Google Drive allows users to change the privacy settings for each individual file and folder which means that they can share content with chosen users or make it public. Great Article.. App Builder Appy Pie is the Best App Maker Platform, Thanks for sharing this Information’s to us..! !